Illuminart, a division of Peter Basso Associates (PBA), Michigan’s largest MEP consulting-only organization, is pleased to announce that Detroit Foundation Hotel and Titletown Plaza, have both been recognized with Illuminating Engineering Society Awards of Merit. Illuminart principal, Robert White, IALD, LC, IESNA was recognized as the lead lighting designer for both projects. The Detroit Foundation Hotel and the Ariens Hill Sledding Hill Pavilion, which is part of Titletown Plaza were also both recently honored with 2018 AIA Michigan Design Awards. Illumination Award recipients were honored at the Illumination Awards Gala held during the IES Annual Conference in Boston, Massachusetts on August 9, 2018. 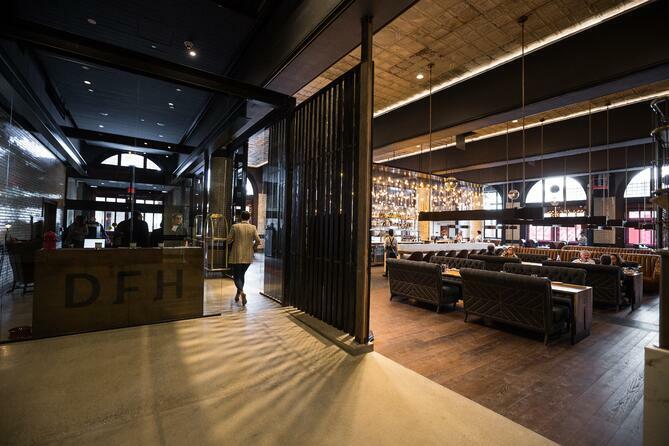 "It's an honor to have captured two IES Awards of Merit for Titletown in Green Bay as well The Detroit Foundation Hotel and Apparatus Restaurant in Detroit," exclaimed Robert White, IALD, LC, IESNA. "Well done to our lighting design team!"